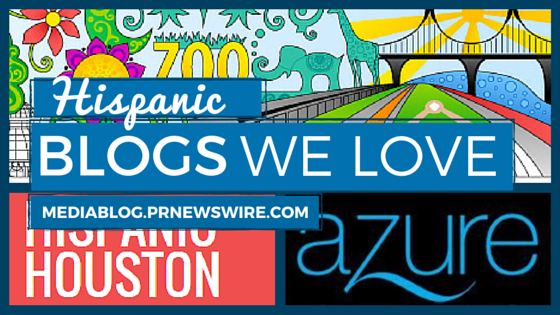 In honor of National Hispanic Heritage Month, we’re taking a closer look at some great Hispanic blogs. Last time, we highlighted Hispanic news and political blogs. This week, we’re going local. BronxMama is a lifestyle site for Bronx families. The site was founded by Nicole Perrino, who also founded The Bronx Bloggers, a group that works to promote positive aspects of the Bronx. I like this blog for a lot of reasons. It’s informative, especially with regard to events, links and resources, and news and information. Some posts that caught my eye include NYRR Bronx 10-Mile to Feature 10,000 Runners and First-Ever NYRR Bronx 5K, The Youth Orchestra of Caracas @ Crotona Park Amphitheater, and Fall Events in the Bronx. The mark of a good local blog is when it pulls the reader in and makes you want to see and experience the place. I think it’s safe to say the Bronx is now on my list of places to visit. Hispanic Houston is the product of a search for local events in Houston aimed at the Hispanic community. “We’ve created this site to provide you with events listings and news and information relevant to the Hispanic community in Houston and its surrounding areas,” she writes. Hispanic Houston features posts on arts & entertainment, business & money, food & drink, people & profiles, and news. Posts I enjoyed include Meet U.S. Poet Laureate Juan Felipe Herrera, Celebrating Hispanic Heritage Month 2015 in Houston, and Exhibit — “Remembering World War II: Houston’s Latino Veterans” on view 8/29/15-11/14/15. Azureazure is a luxury lifestyle site that’s based in Miami. The site features information about events, culture, fashion, real estate, travel, and philanthropy, to name a few. This is a seriously attractive site. Posts that drew me in include Wythe Hotel in Brooklyn: Style and Modernity, Sky High Gourmet Dining, and Karen LeFrak: Many Women in One. In LeFrak’s profile, it talks about how she wears many hats – she’s an author, composer and philanthropist. Pinning just one of those down as “the most fulfilling” is difficult. “Each serves a different purpose: music touches my soul, books touch my mind, and charity, my sense of responsibility,” she says. Thanks for including Hispanic Houston. Thank you for including Bronxmama! My family and I are followers of Bronxmama. It always gives us the up-to-date great places to visit for the family. Its a great blog and all should save to their dashboard.